Since 1985, Basic has provided wood floor coatings that have the reliability, durability and consistent profitability that you demand. 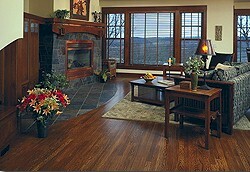 And we back Basic wood floor coating products with the best technical and customer service in the industry! Whether you choose one of our industry-leading water based coating systems, one of our oil modified urethane finishes, or our outstanding maintenance products, we're here to answer your wood floor coatings questions.